Story by Isabell Mason, USC Daily Trojan. The Eli and Edythe Broad Center for Regenerative Medicine and Stem Cell Research at USC will hold two new programs this summer that offer high school students the opportunity to experience hands-on lab research in the biomedical sciences and to encourage them to pursue science after high school. Early Investigator High School Summer Program in Stem Cell Research gives scientifically minded high school students from Harvard-Westlake School, the Marlborough School and the Lifeline Education Charter School the ability to experience eight weeks in a research laboratory. The USC Science, Technology and Research High School Summer Research and Creativity program, which has a 23-year standing partnership with the Francisco Bravo Medical Magnet High School, will broaden into stem cell research with its $264,000 grant from the California Institute of Regenerative Medicine. These programs offer high school students eight weeks in the lab and a weeklong workshop at the beginning of the summer, during which students learn techniques for stem cell research. Participants also attend progress meetings and seminars, and are assigned regular lab duties. “Expansion of the USC STAR summer research program is an exciting new chapter in our science education endeavors and partnership with Bravo High School,” said Dr. Roberta Diaz Brinton, director of the USC STAR program. 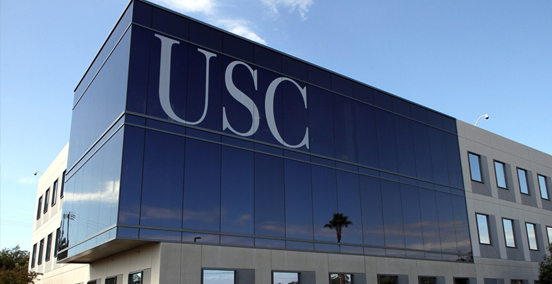 USC STAR will offer 10 high school students the opportunity to intern with a research team either at the Stem Cell Center or one of its 50 associate laboratories. All CIRM STAR interns will give a final research presentation and will aid in planning the Stem Cells, Creativity and the Public forum. In the EiHS program, students will be placed with a mentor who will guide them through the research process. The program has accepted three students from Harvard-Westlake but is not sure how many applicants it will accept from Marlborough and Lifeline Education Charter School. Students are nominated by teachers and are required to fill out an application and attend an interview. Dr. Victoria Fox, EiHS program director, said she started this program because of high school students’ interest in science. Fox said he hopes EiHS will give participants the opportunity to gain practical experience in a lab. “The program will bring kids from all different backgrounds together through science and take kids from any school that are gifted and give them opportunity to work in a lab at a higher education level,” Fox said. Brinton said this program is important for the USC STAR program and for the students who will gain from this new opportunity in science. “The Broad Institute of Regenerative Medicine faculty mentorship of STAR students joins in the remarkable Trojan Family spirit of USC scientists who give so generously of their gifts and talents and who pay it forward,” Brinton said.